A quick update to say HB 1030 will be heard by the Senate Transportation Committee this Friday at 8am. Assuming no complicating amendments or testimony requiring additional consideration the bill either moves to the Senate floor or dies a quiet death by tabling. I've been waiting to contact the Senate Transportation Committee until now. Here's a link to the committee's page containing the contact form. HB1030 - Round 3 - The Senate Transportation Committee - Go! IT'S TIME FOR ACTION! Again. HB1030 was read today in the Senate and assigned to the Senate Transportation Committee. It is not yet on an agenda but it is time to contact the Senate Transportation Committee: sen.Cammack@state.sd.us, sen.hunhoff@state.sd.us, sen.monroe@state.sd.us, sen.Otten@state.sd.us, sen.solano@state.sd.us, sen.peterson@state.sd.us, sen.Vehle@state.sd.us. All the same words used before for the representatives are valid for the senators. There is increasing opposition to this bill which is no surprise. Apparently South Dakota roads are now too narrow and not straight enough for safe bicycle travel. Tuesday 10am HB 1214 - the reflective clothing bill - will be considered by the House Transportation Committee. At 2pm HB 1030 - the 3' passing bill - will be considered by the full House. Read Rumbles!! Part 1 here. This complete "Rumbles!!" series is a demonstration of the value that Argus Leader Journalist David Montgomery has brought to the local cycling community. Without this article as the starting point the destruction of this piece of cycling habitat - Highway 151 south of Hartford - would have been a surprise to most and seemed anonymous. To be sure my view is the riding community ought to take responsibility and be their own watchdog. To be equally sure there simply aren’t enough riders engaged enough in the process of how cycling habitat is created and destroyed to be very effective. Here David Montgomery filled some of the gap. He caught something in a meeting somewhere and it registered enough with him to make some calls and write an article. Because of this, the rumbles planned for Highway 151 will not be a surprise and will not be done seemingly anonymously; at least to me and followers of The MinusCar Project. I view this as my newspaper subscription dollars being put to good use directly connecting and contributing to the work I do for bicycle advocacy. Minnehaha County Commission – sometime between December 13 and 20, 2014 they approved rumble stripes on Highway 151. As an elected body they should at least pretend to care about me and my concerns. Maybe there’s even one of them that would champion my concerns. Some of them I may have voted for or against in elections, but to be honest I do not know which. 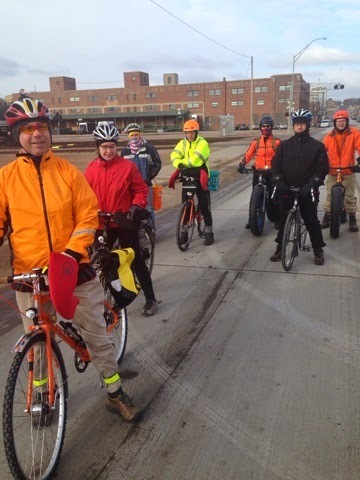 Minnehaha County Commission Chairwoman Cindy Heiberger – a cyclist! She’s concerned about creating the hazard! “Bicyclists beware,” she says. As an elected official she should at least pretend to care about me and my concerns. However, she is not someone that I am eligible to vote for, she lives elsewhere. Larry Hayes – private citizen, local rider of bicycles. Andy Vandel – Highway Safety Engineer with the South Dakota Department of Transportation. State staff should be reasonably responsive to a reasonable number of reasonable requests. To me the most glaring thing in this article is not at all related to rumbles. It’s the claim by Department of Transportation Andy Vandel that “they have a dedicated liaison to bicyclist groups.” This is both damning and encouraging. 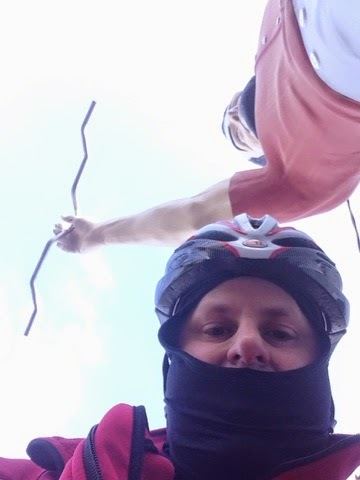 It’s damning because as a leading bicycle advocate in South Dakota nobody has ever presented themselves to me as a dedicated liaison to bicycle groups. I checked with four other leading advocates in the area and they all agreed, nobody had ever presented to them as being a dedicated liaison. I'm monitoring with interest 3 bills in the South Dakota House. HB1030 - the 3' bicycle passing bill. It is currently in the House Transportation Committee listed on the February 10th agenda as a "bill for possible action which [has] had prior hearing." At the moment I'm satisfied with the work that's been done on this bill. However it's been 10 days since I've heard anything about it so I'm a little nervous for what could happen while I can't see. HB1032 - the protection for pedestrians in crosswalks bill. This is also listed as a "bill for possible action..." on the House Transportation Committee February 10th agenda.This one got hastily tabled January 22 by a 9 to 4 vote after Rep Stalzer pretended to know that traffic in Sioux Falls would get really backed up if it passed. Perhaps the 9 yays were just annoyed to have to consider so much biking and walking in what they previously had experienced as an internal combustion transportation committee. Five days later on January 27 Bolin and Duvall prevailed by a 7 to 5 vote to take another look at it. Feickert, Schaeffer and Werner had previously voted to table but were willing to go along for a second ride. I'm not too worried about this one. I think it's extreme to have a legal requirement to wait for a pedestrian to completely cross a street before moving through an intersection. But I'm also guy who practices transportational walking and all too often I've got an idiot driving across my heels in anticipation of his next Big Mac. So pass the bill sure, but try to find a way to amend it. HB1214 - the reflective or florescent bicycle clothing bill. This one is assigned to the House Transportation Committee but has not yet appeared on any agenda. It's an alarming bill that it is our duty as South Dakota riders to keep from becoming law. I understand Wyoming successfully fought off their 2015 version. Oklahoma is working one too. We must not become the first state to have this law. I am currently happy with the work that has been done on this bill - but like HB1030 I acknowledge that bills can change when nobody can see. Please. Let it be enough that the Federal standard for bicycles is that they ship with a white front and red rear reflectors. 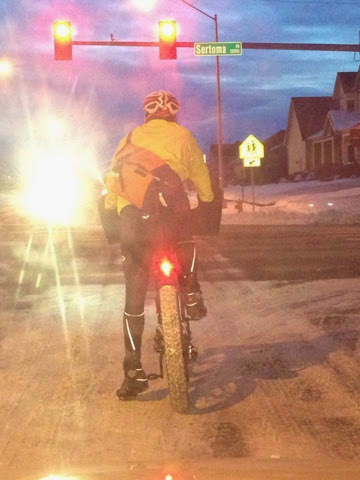 That South Dakota Law requires a lamp on the front and a reflector or lamp on the rear of every bicycle. Finally, that the problem with the visibility of bicycles is that too many riders fail to ride where they can be seen. Sometimes it's because they're afraid to be in the street and other times it's because the only place far too many drivers are looking is at a cell phone screen. 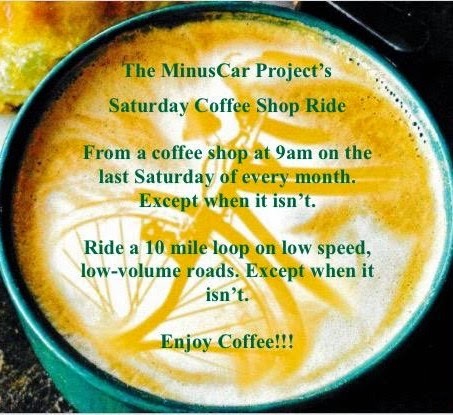 The next Saturday Coffee Shop Ride will be February 21. For those scoring at home, indeed the 21st is February's third Saturday. It will depart from MB Hasketts - 324 S Phillips Ave. We're going to climb 1000ft and primarily explore two or three neighborhoods boxed by 10th & 41st & Cleveland & Bahnson. Remember the ride leaves at 9am. 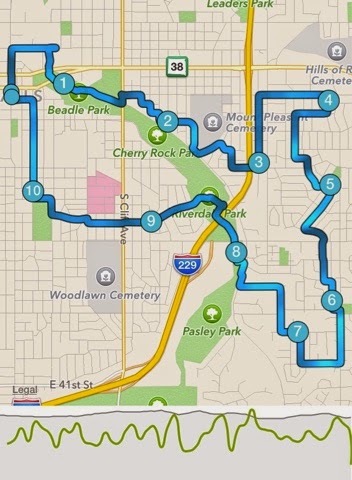 The loop is just about 10 miles and weather adjustable. We'll enjoy coffee or full breakfast after. 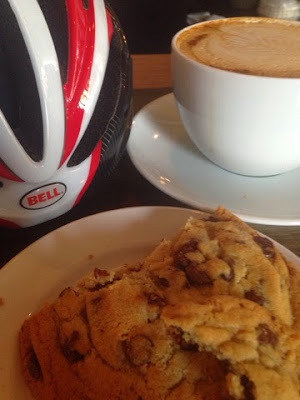 There are general expectations of the Saturday Coffee Shop Rides. Faster riders may find the slowish speed of this ride mentally taxing. The Transportation Committee met today and discussed HB 1131 the “increase road funding” bill. I feared the possibility of an amendment that would make a tax specific for bicycles or riders. My fears were not realized today. The committee amended the bill a few times and then talked about referring the bill to the State Affairs Committee. Upon further consideration they instead deferred discussion to Thursday 2/12. After two hours of HB 1131 Duvall had had enough and her motion to adjourn was readily seconded by Hickey and quickly agreed to by the others over their shoulders no the way out the door. What about HB 1030 the “3’ passing bill?” It is on Thursday’s 2/5 agenda. But wait! That’s not all! Remember when Rep Deutsch was being asked to kindly remove his helmet prop from atop his head? Rep Rasmussen indicated she had a bill that is complimentary to his yellow helmet? It has perhaps arrived! South Dakota now has its very own “reflective & fluorescent clothing” bill. Meet HB 1214. It has not yet been assigned to a committee. I do not like this bill. This bill should not pass. Please don’t let this bill pass. Wardrobe choices should not be legislated. In 2010 Sen Jerstad’s 3’ passing bill was amended with a similar requirement. The South Dakota Bicycle Coalition (such as it was) promptly dropped its support of the bill. The effectiveness of reflective or bright clothing is doubtful. As a bicycle educator I recommend bright clothing as a reasonable option. In practice I wear what I have on. Sometimes my clothes reflect black. Cyclists have visibility problems because they are not willing to ride where drivers are looking. It is also increasingly difficult to ride where drivers are looking. I can’t fit myself between a driver’s face and their cell phone. Bicycling is the cheapest and most efficient form of transportation in the world. Bicycling is the way many poor people move around. It is not appropriate to legislate what a person should wear to work. See that riders are already required to have a lamp on the front and a reflector or lamp on the back. I fail to grasp the improvement of having the reflective or colorful item on the person rather than the machine. Also note failure to have lights carries the penalty of “petty offense.” It is provable that lack of lighting is a strong contributor to bicycle/car crashing. The penalty for riding without reflective or fluorescent garments will be a Class 2 misdemeanor which is akin to speeding. The disparity of these two punishments is irreconcilable. Someday soon this bill will land in a committee. Stay awake.